In early October, the United Nation's Intergovernmental Panel on Climate Change issued a dire report on the state of our planet: it stressed the urgent need for solutions, to cut the risks of extreme heat, drought, floods and poverty. A part of the solution may be found in a surprising place - bamboo. There are at least 30 million hectares of bamboo in tropical and subtropical areas of the world. Fast growing and quick to mature, this grass plant is already a staple part of many people's lives and livelihoods – as a source of food, fibre and fuel, which can be used to make thousands of products. 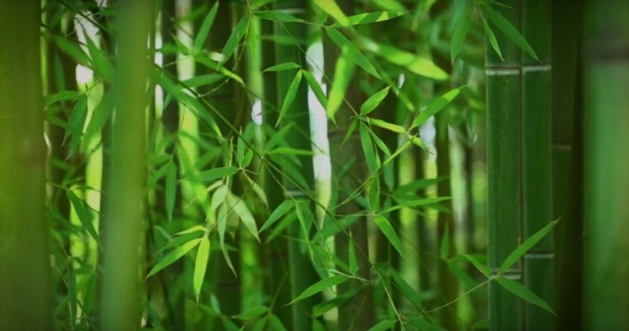 Bamboo can be an important carbon sink, storing more carbon than certain kinds of tree. This is because it can be harvested regularly, creating a large number of durable products which store carbon for several years, as well as the carbon in the plant itself. These products are long-lasting, recyclable, and can replace a variety of emissions-intensive materials, such as PVC, aluminum, steel and concrete. Bamboo is also a sustainable source of bio-energy, whether used directly as fuel wood, modified into charcoal for cooking and heating, or converted into gas for thermal and electrical energy. It can, furthermore, help prevent desertification: its extensive root systems mean that bamboo binds earth and restores soil health, even in the most desertified landscapes. Bamboo can help communities adapt to the negative impacts of climate change – providing a sustainable, year-long source of income, and creating flexible, strong, disaster-resilient housing. The International Bamboo and Rattan Organisation (INBAR) is an intergovernmental organisation which promotes the use of bamboo and rattan for environmentally sustainable development and green growth. Since its inception in 1997, INBAR's aim has been to help people realise the full potential of bamboo - providing research, on-the-ground projects and training in areas such as climate-smart agriculture and carbon storage. As bamboo grows throughout the tropics in Africa, Asia and the Americas; INBAR believes it can provide a significant contribution to combatting climate change in the developing world.